For the better part of the last decade or so, cable and TV companies have watched the upheaval going on in the movie and music industries—not to mention the newspaper business—and felt pretty sanguine about their prospects. After all, who doesn’t like TV? A large chunk of that optimism got vaporized this week, however, as most of the major TV-related stocks got hammered by investors: In just two days, the sector lost more than $50 billion in market value. Why the sudden panic? After all, it’s not as though TV viewers have suddenly vanished overnight. It’s true that there has been a slow and steady erosion of viewership, especially among millennials, but this week wasn’t that much worse than any other week. So what happened? The biggest trigger seemed to be weak results from several of the industry’s largest players, including Viacom (VIA)—which owns Paramount Pictures and MTV—and Disney (DIS), which owns ESPN. Although the latter turned in fairly good numbers, investors were particularly concerned about a decline in subscribers at ESPN, which has been seen by many as an impregnable fortress due to its lock on sports. Viacom, meanwhile, looks even weaker: Two of its long-established channels, MTV and Nickolodeon, have been losing viewers rapidly, and analysts say the company is particularly vulnerable going into negotiations with cable providers, where it will bargain for the right to be included in their bundles. Advertising revenue in the latest quarter was also down sharply, for the fourth quarter in a row. On Thursday, Viacom dropped by as much as 18 percent, hitting its lowest level in three years. But the weak subscriber numbers for players like Viacom and ESPN (and 21st Century Fox, which also reported a drop in revenue and sliding viewership) aren’t the whole story. In a sense, these results are more like the tremors felt in an earthquake zone: A sign that something larger is on its way, and that the tectonic plates beneath the industry are shifting. This shift has been happening so slowly that at least some investors and industry executives have convinced themselves it isn’t happening at all, or that it is just a modest transition from one platform to another. 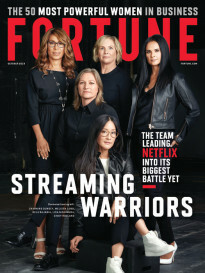 For example, much of the industry has ignored or downplayed the impact of “cord cutting,” which has led many millennials (and increasingly large numbers of other consumers as well) to shed their cable subscriptions in favor of streaming services like Netflix (NFLX). 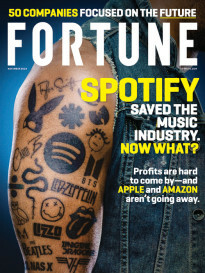 Despite the TV industry’s perception that it is at the top of the entertainment food chain, at some point the impact of this shift becomes inescapable, just as newspaper and music companies eventually had to admit that the shifts they were seeing in consumer and advertising behavior were more than just a speed bump. As venture capitalist Chris Dixon has pointed out, the rise of new technologies isn’t something that happens smoothly—it often seems to be moving slowly, and then speeds up rapidly. The same applies to the decline of businesses attached to old technologies. Some TV providers and broadcasters will be better off than others as this wave of disruption moves through the industry. ESPN, for example, is seen by many analysts as being protected from the winds of change because it has a stranglehold on sports-related content—something viewers still seem willing to pay for. The sports network is also seen as the best positioned to take advantage of cord cutting by going “over the top” with its own streaming service, similar to HBO Now. Disney CEO Bob Iger has talked about this as a long-term possibility in the past, but his recent comments suggest that such a service could come sooner rather than later. Whether it will draw enough subscribers to replace the money that ESPN loses by being removed from cable bundles remains to be seen. Large cable providers like Time Warner, meanwhile, have the potential to make up for some of their cord-cutting losses on the TV side through higher fees for their Internet service-provider business, since those who stream Netflix and other services tend to use up a lot more data by doing so. There are still some skeptics when it comes to the size and speed of the disruption that the TV business is undergoing. Billionaire Mark Cuban, for example, has poo-poohed much of the doom and gloom and said that “TV is the new TV,” while media gadfly Michael Wolff has written an entire book about how television isn’t being nearly as disrupted as other media industries. (For a hint of how this debate often plays out, see my discussion with a number of media analysts and writers on Twitter about whether “crumbling” is an accurate metaphor for the TV business). There’s no question that TV-style content—in other words, video of all kinds, however it is delivered to viewers or consumers—is going to be just fine. In fact, demand has never been greater. But will the winners in this scenario be the existing giants and cable companies? Or will they be new players like Netflix and Facebook and YouTube? That script is still being written.